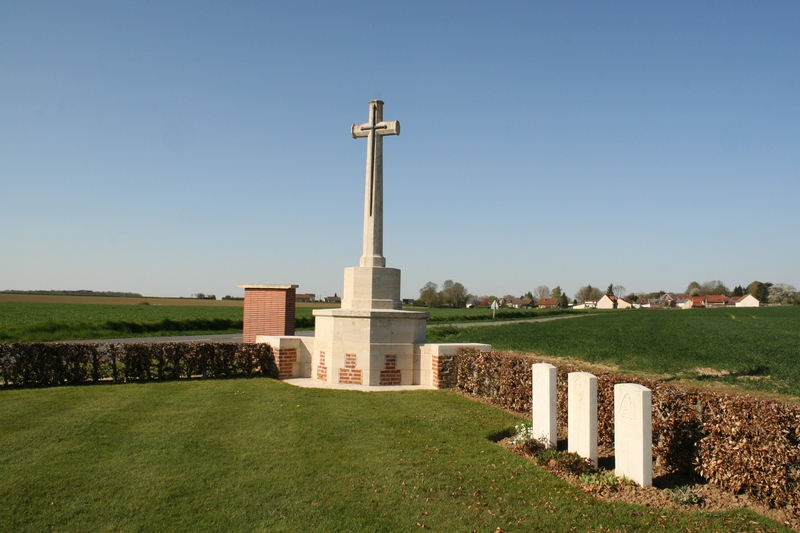 Longueval Road Cemetery, with Bernafay Wood away to the south, and the spire of Montauban Church visible among the trees on the horizon to the right. 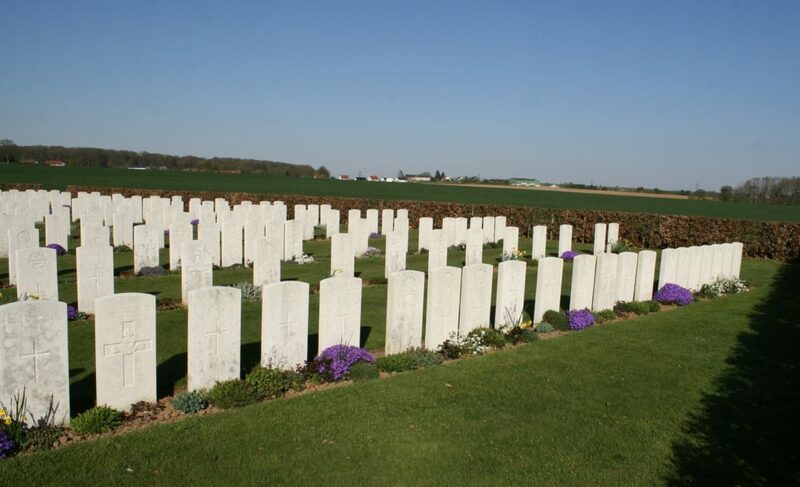 The cemetery was begun in September 1916, long after the fighting for Longueval had ended, and as such doesn’t really fit in with this current series of posts, but as it is situated just before we get to the outskirts of Longueval (in the background), on the road from our previous stop, Bernafay Wood British Cemetery, it seems appropriate to visit it while we have the chance. 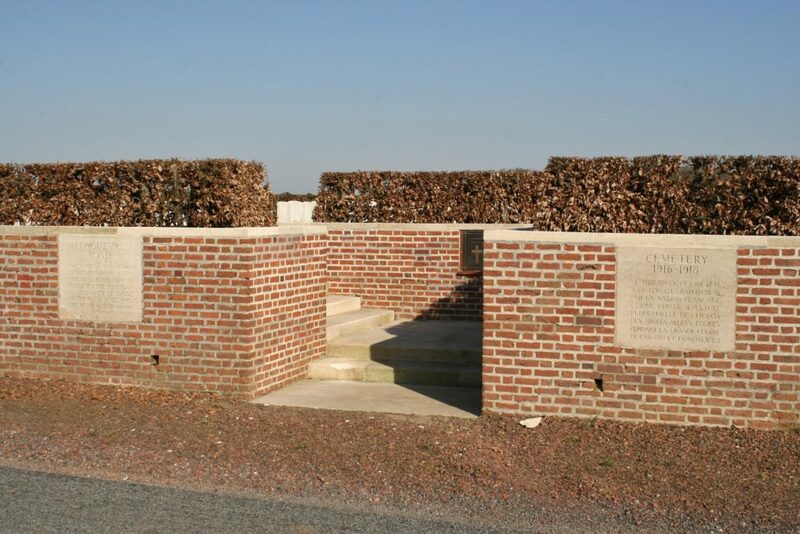 In early September a dressing station, known as ‘Longueval Alley’ or ‘Longueval Water Point’, was set up here and used for just a few months until the end of November. 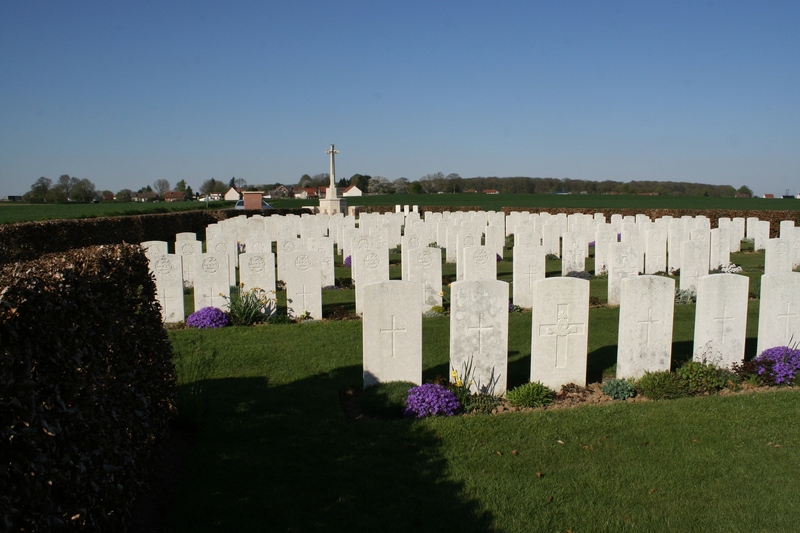 The occasional burial was made in early 1917, and a fifteen men were buried here in August & September 1918, as the war neared its end. 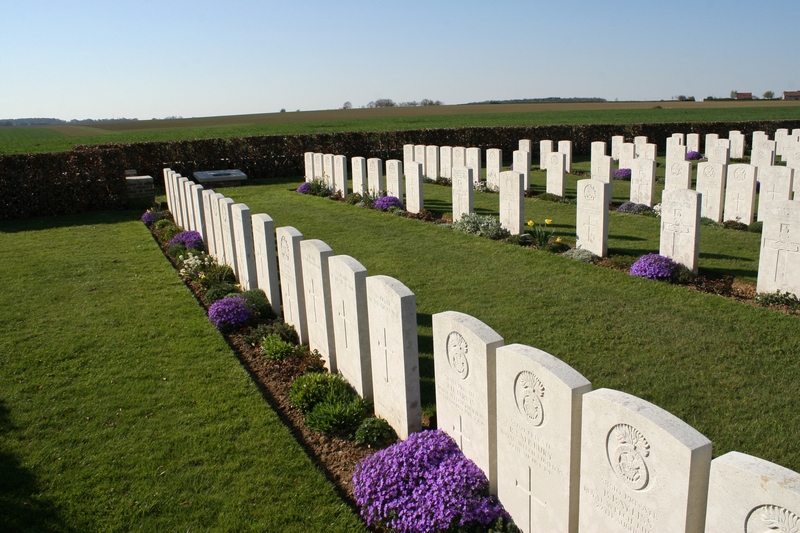 You’ll find the cemetery plan here. 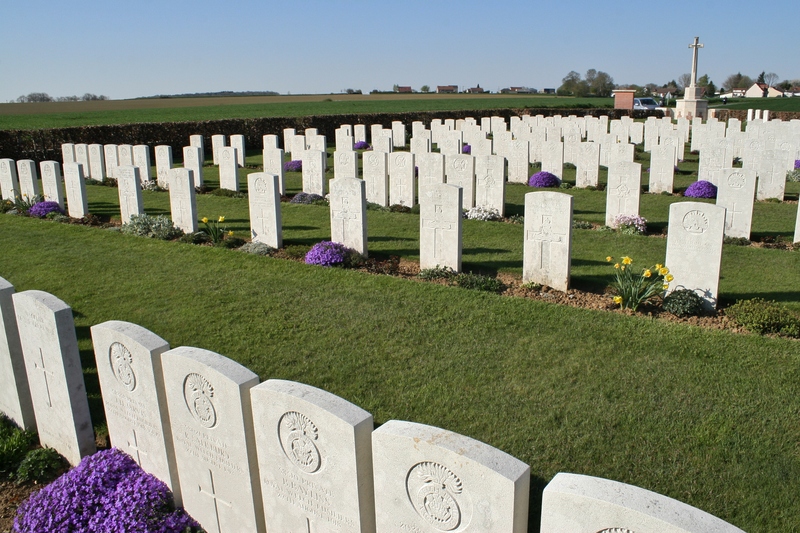 …later increased to 222 when a number of individual graves from the Longueval area were reinterred here in 1923 & 1924. 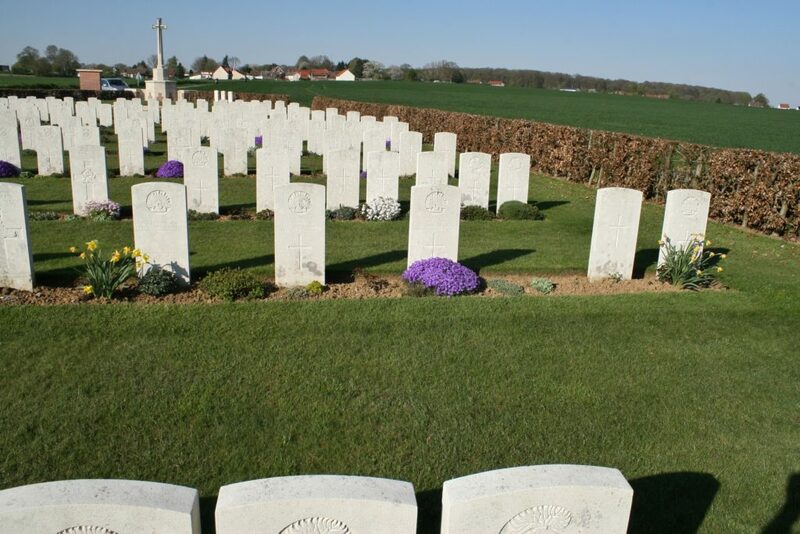 Spot the single German grave. 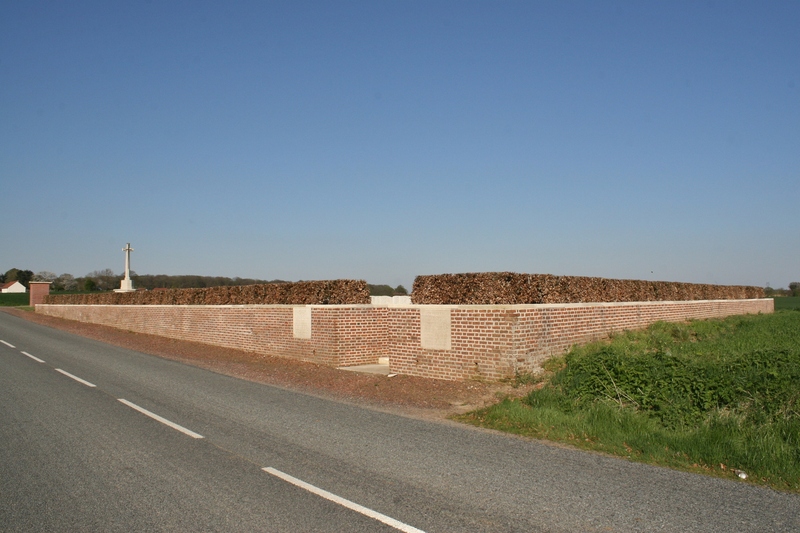 The wood you can see on the horizon away to the north west is the infamous High Wood, about which much more in later posts. Communication trenches once zig-zagged across these fields towards the front lines in Longueval village and Delville Wood in the distance, one of which, Longueval Alley, gave the cemetery one of its original names. Forty eight men are unidentified, and there are special memorials near the Cross of Sacrifice to three men ‘known’ or ‘believed’ to be buried among them. 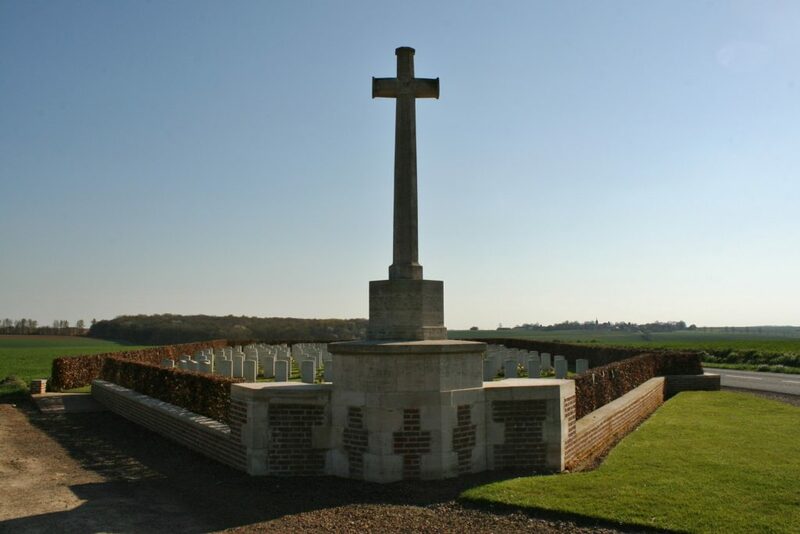 On to Longueval itself now, I think, and then the terrible fighting that took place in the second half of July 1916 for control of Delville Wood. Hello Peter. Thanks for commenting, and maybe someone will read your post and come up with the answer, you never know.